SIOUX CENTER – Tysa Lloyd was steered into her life’s work as a dental assistant through a career placement quiz taken during high school. Lloyd, who has five years of experience working as a dental assistant, started in that role at Promise Community Health Center in Sioux Center last week. career placement quiz in high school. Lloyd grew up in Sheldon and graduated from Sheldon High School in 2009. She took general classes for a year at Western Iowa Tech Community College in Sioux City before earning her dental assistant certification while working 2011-13 at Siouxland Dental Health in Sioux City. She then served three years as a dental assistant at Tri-State Endodontics in Sioux Falls, SD, until deciding to work for Promise to be closer to her hometown. She has been impressed by the health center. As a dental assistant at Promise, Lloyd will interact with patients; get them ready for their appointments with the dentist, Dr. Kenneth Tjeerdsma, and dental hygienist Rebecca Hooyer; and assist with procedures. She also will help educate patients about overall dental health, ranging from the procedures being done to proper hygiene techniques. “I enjoy working with kids and helping them to learn about dental hygiene,” she added. Tysa Lloyd lives in Sheldon. In her free time, she enjoys baking and hanging out with family. 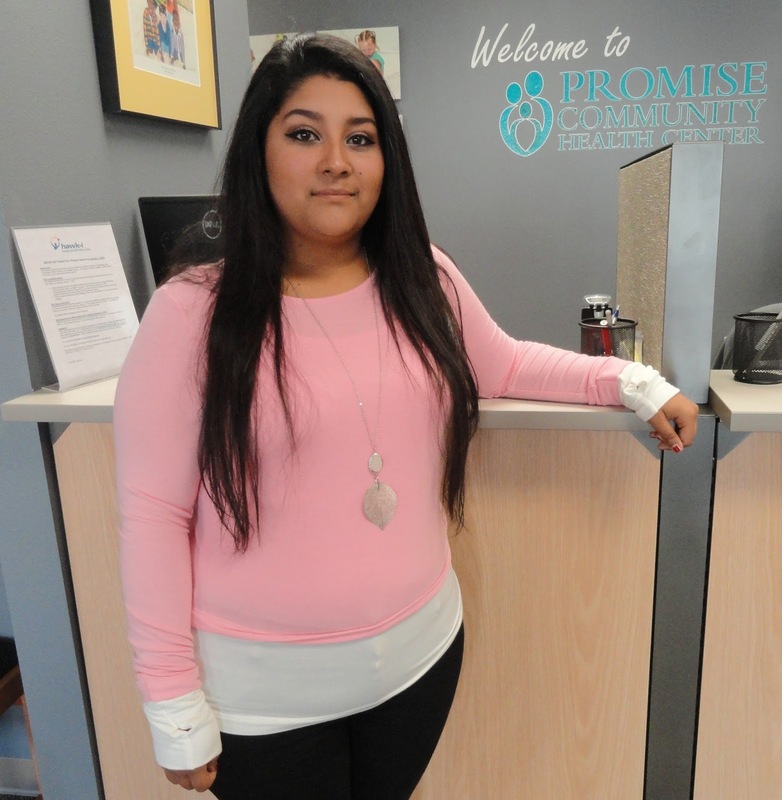 SIOUX CENTER – Alejandra Dueñas always found the receptionists at Promise Community Health Center in Sioux Center to be “really nice and willing to help” when she came in as a patient. Therefore, she’s glad to now have the opportunity to fill that role. Alejandra Dueñas looks forward to helping people in her new role as a receptionist at Promise Community Health Center in Sioux Center. Alejandra began serving as a new receptionist at Promise last week. “I’ve always been the type of person that likes to help out when I can, so I think this position will be a great opportunity to do that,” she said. Alejandra was born in Chico, CA, but lived most of her life in Hull. She graduated from Boyden-Hull High School in 2012. Before starting at Promise, she worked previously at Natural Food Holdings in Sioux Center and Dakota Treats in Hawarden. Alejandra said she will be able to provide help to both English- and Spanish-speaking patients. Alejandra Dueñas and her husband, Jose de Jesus Dueñas, live in Hawarden and have a 3-year-old son, Jose de Jesus Dueñas Jr. In her free time, Alejandra enjoys watching her husband’s soccer games in Sioux Center, going fishing and camping with her family, and doing various other family activities. of skin cancer on the lip. Summer is a busy time for our farmers and anyone who works outside. How many, though, are using Sun Protection Factor (SPF) chapstick? I can think of very few men. However, using SPF chapstick can help prevent a dangerous, rarely talked about problem: skin cancer. To be more specific, skin cancer on the lip. The bottom lip is exposed to more sun than the top lip and can be a site for either basal cell carcinomas or squamous cell carcinomas. It is more likely to appear in fair-skinned men over 50 years old who spend a lot of time outdoors. It is quite treatable if caught early. One should look for sores in or around the mouth, especially on the bottom lip, that do not heal within a couple weeks. The earlier it is caught, the better. There is a greater risk for people who smoke or consume alcohol. Those individuals should make a habit of doing daily oral cancer screenings. Some good places to check are the sides of the tongue, lips and the cheeks. Again, one is looking for sores that do not heal within a couple of weeks. If you see something suspicious in the mouth that does not heal, you should see your doctor or dentist. Stay safe this summer, and remember the SPF! 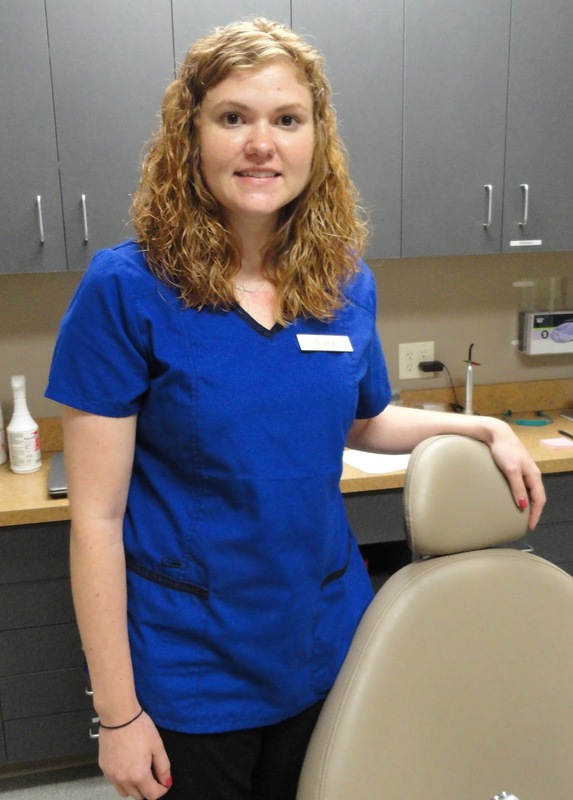 Rebecca Hooyer is a dental hygienist at Promise Community Health Center in Sioux Center. Promise provides medical, prenatal, dental, vision and behavioral health services. To learn more, visit www.promisechc.org and watch this video. To read more Promise news, visit promisechcnews.blogspot.com.